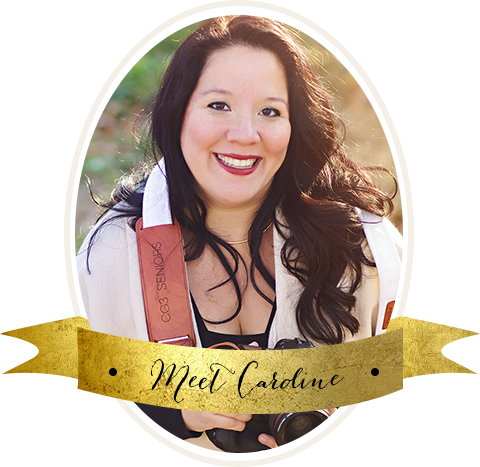 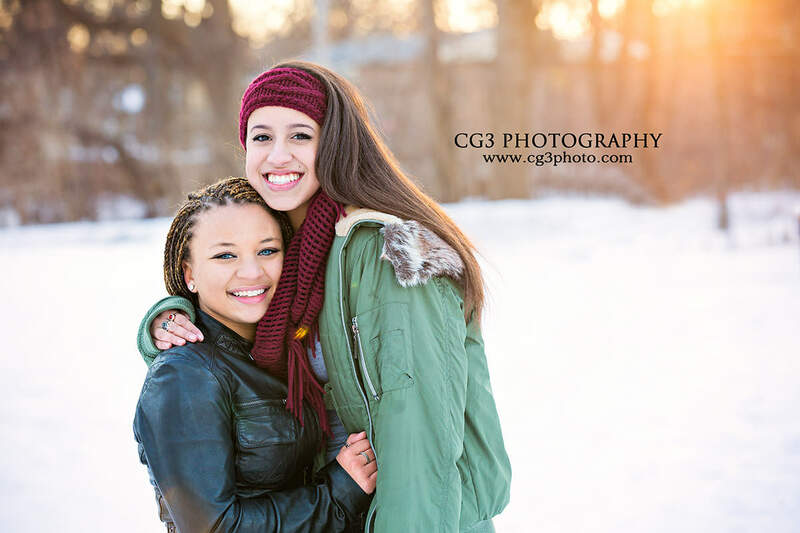 I love when my past clients come back for more photo sessions. 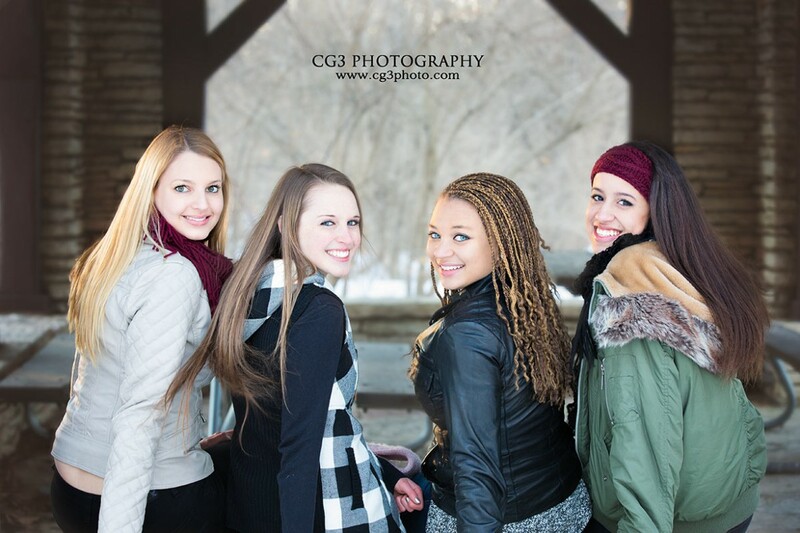 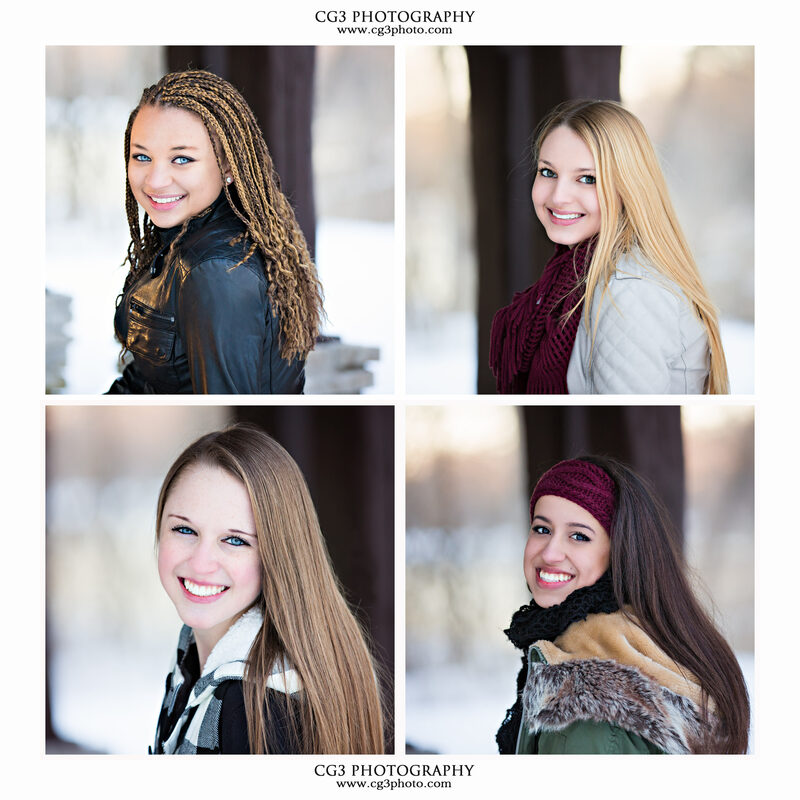 And since CG3 specializes in high school senior photography, it just made sense to offer “Best Friends” mini sessions! 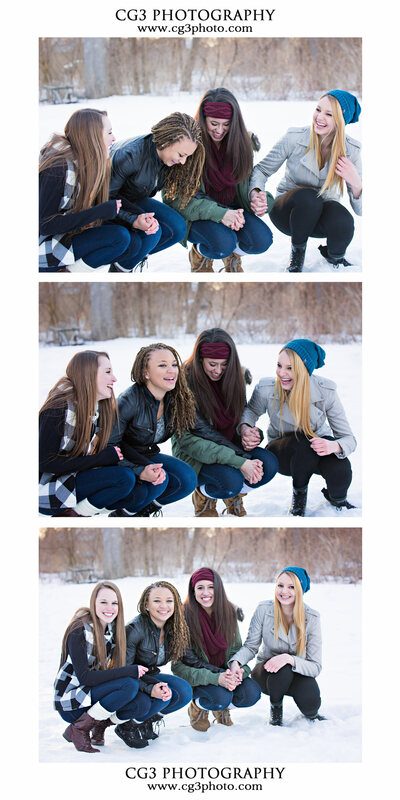 What a great way to remember your time together than to grab your “besties” and take part in a fun photo shoot. 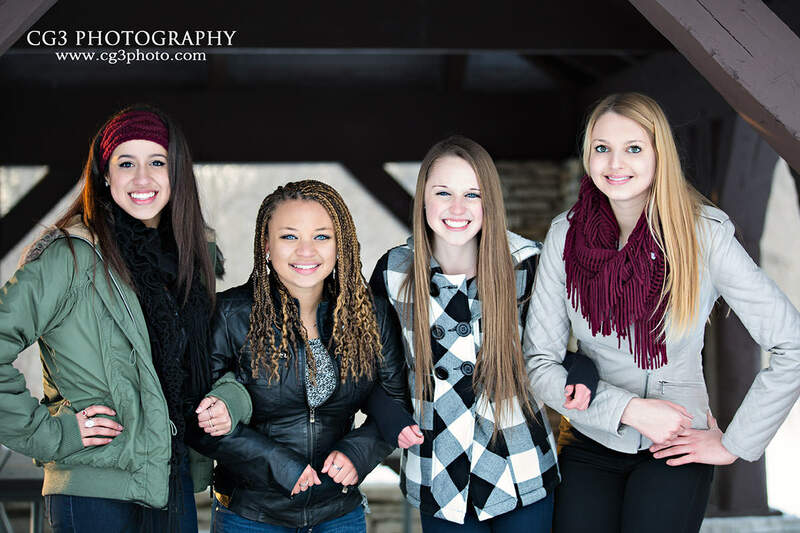 Many graduating seniors have known their “best friends” since grade school! 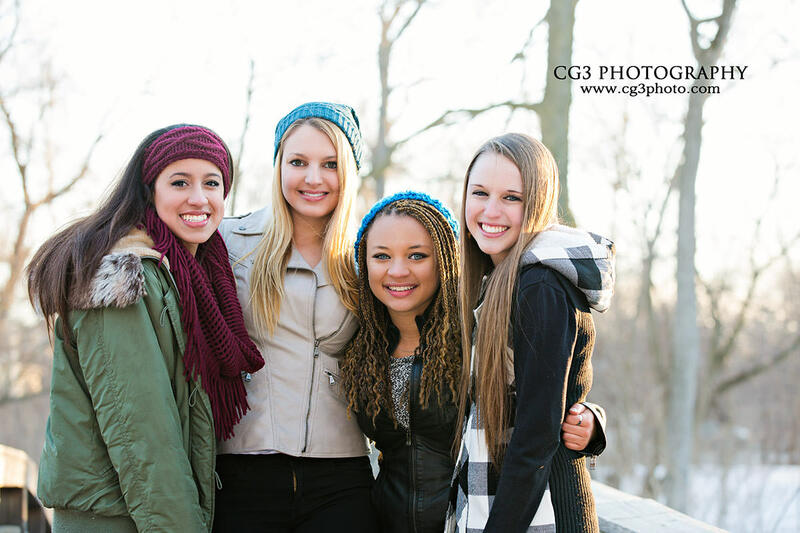 CG3 offers fun and affordable mini “best friends” photo shoots to capture that moment in time when you were all together, having a blast in your final year of high school. 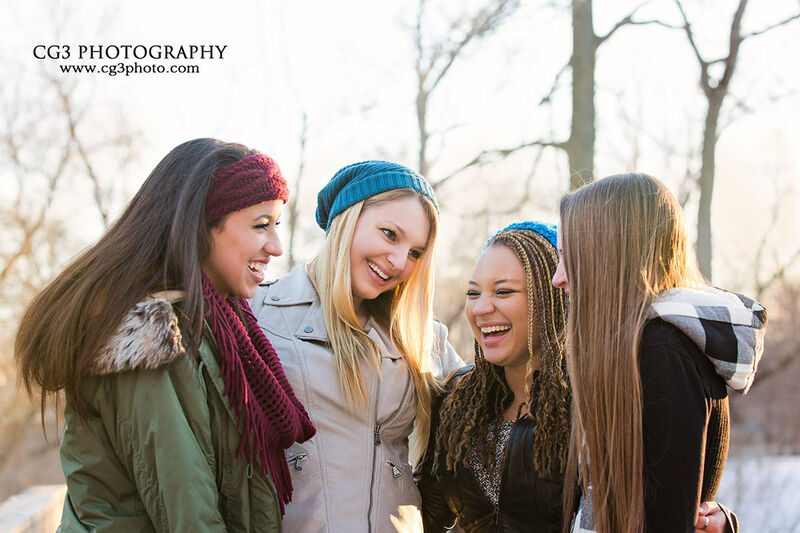 Check out this fun group of Neuqua Valley high school seniors! 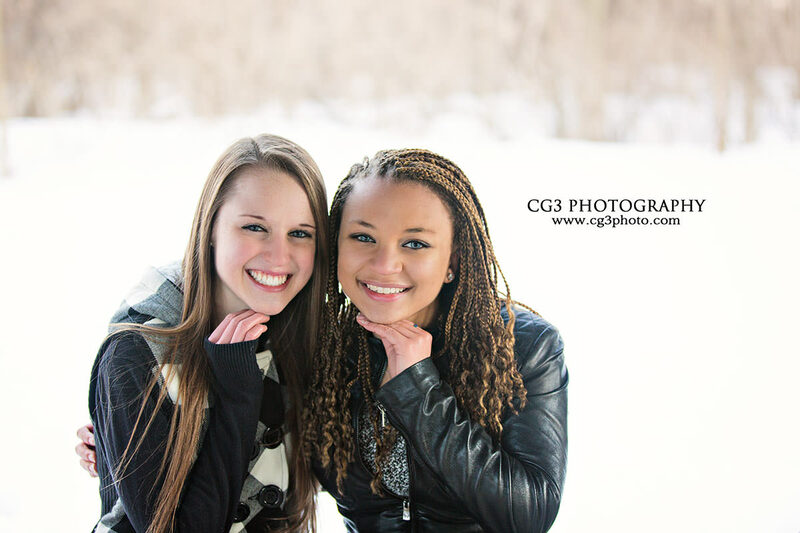 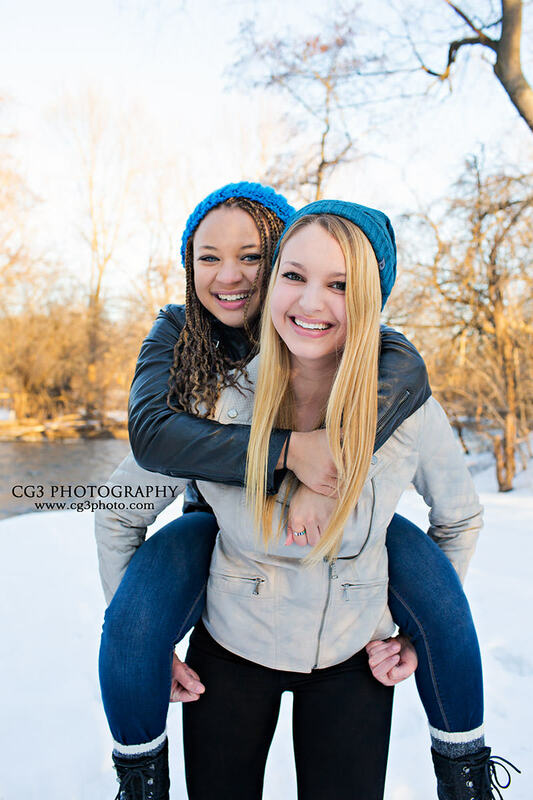 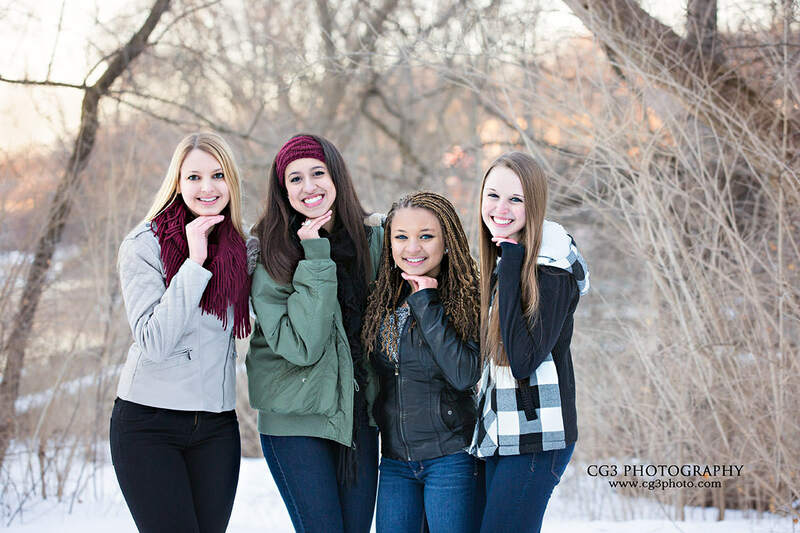 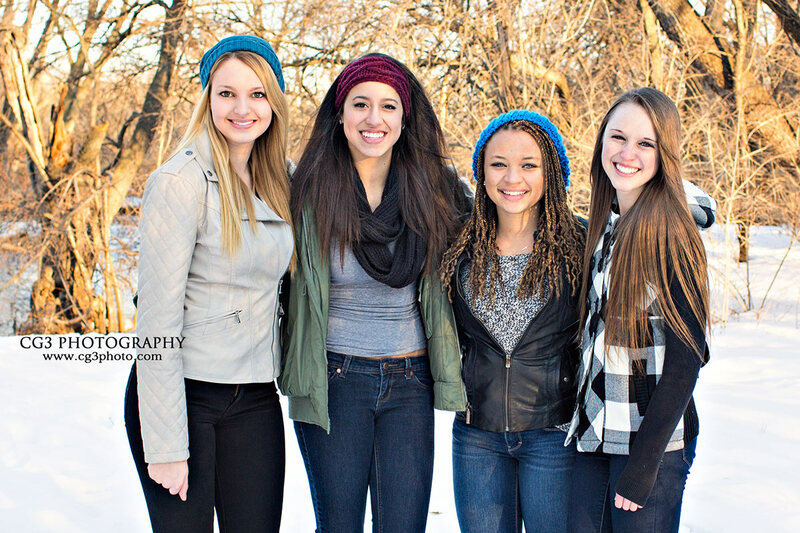 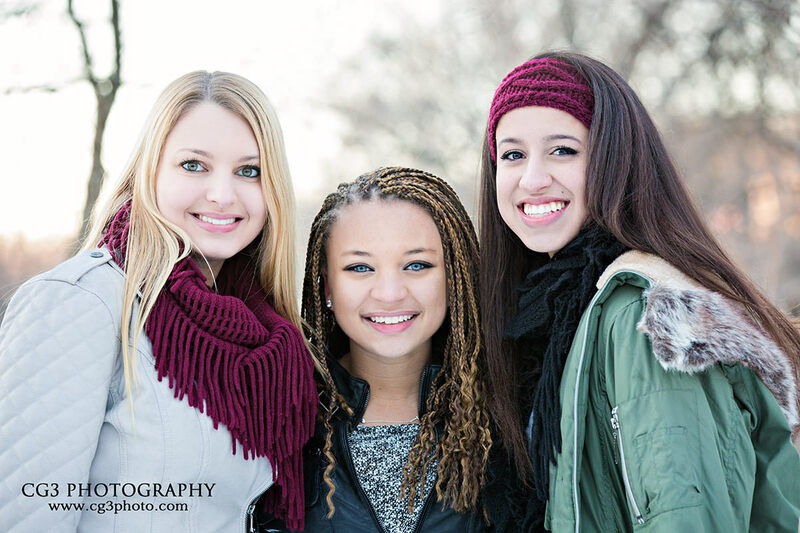 They braved the cold Naperville temps for a fun best friends photo shoot. 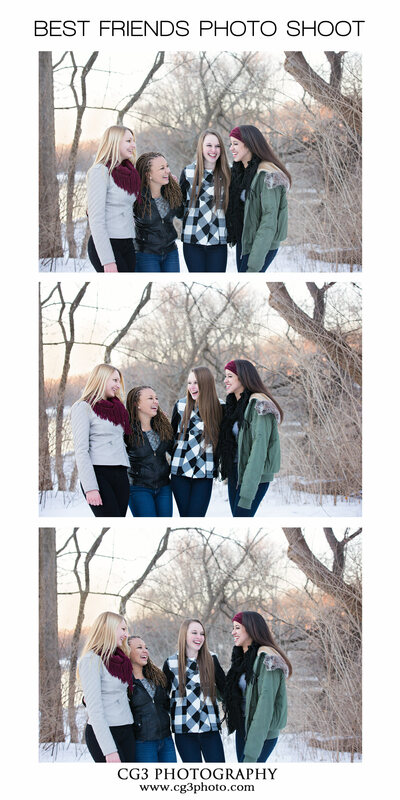 Even though they are all going off in different paths, they will always have these photos to cherish for a lifetime. 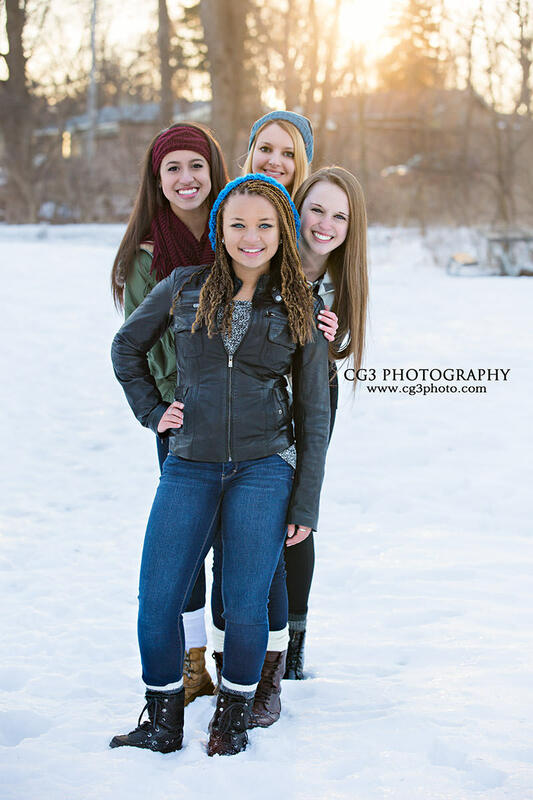 Thank you Morgan, Sarah, Kelsey and Nora for a super fun photo shoot!